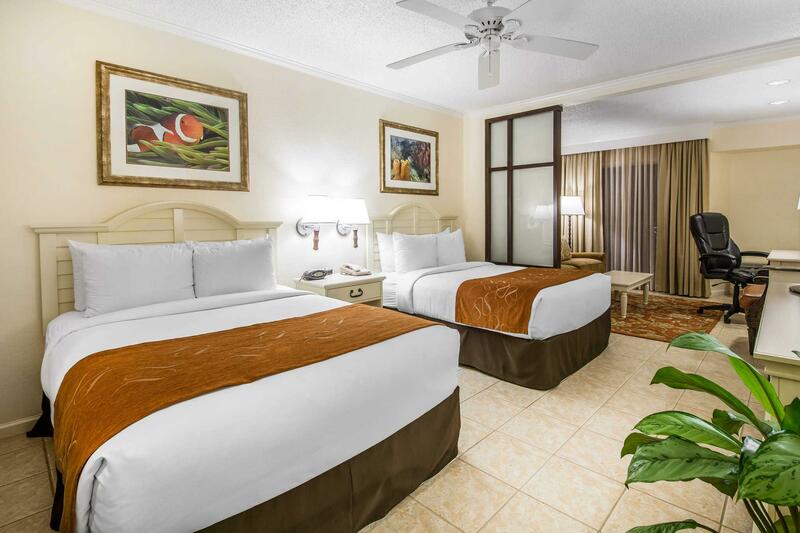 ﻿ Book Comfort Suites Paradise Island Nassau (Bahamas) - 2019 PRICES FROM A$276! 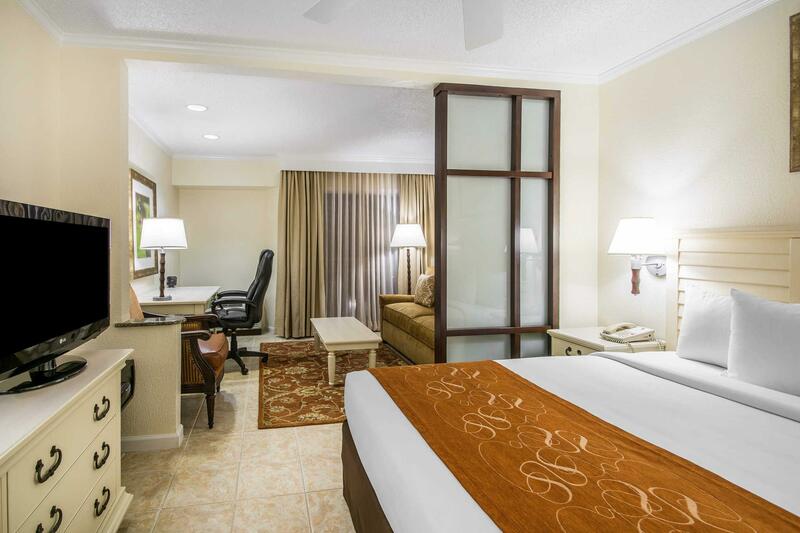 Have a question for Comfort Suites Paradise Island Nassau? 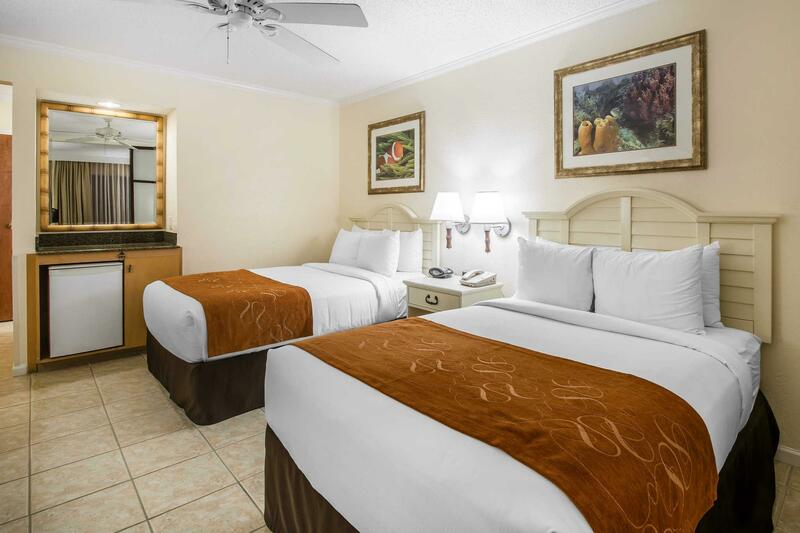 Ideal for fun and relaxation, Comfort Suites Paradise Island Nassau is located in the Paradise Island area of Nassau. From here, guests can enjoy easy access to all that the lively city has to offer. A well-kempt environment and its proximity to The Cloisters Nassau, Atlantis Waterscape, Biggity Boutique give to this hotel a special charm. Comfort Suites Paradise Island Nassau also offers many facilities to enrich your stay in Nassau. This hotel offers numerous on-site facilities to satisfy even the most discerning guest. Hotel accommodations have been carefully appointed to the highest degree of comfort and convenience. In some of the rooms, guests can find television LCD/plasma screen, air conditioning, wake-up service, desk, alarm clock. The hotel offers wonderful recreational facilities such as outdoor pool to make your stay truly unforgettable. Comfort Suites Paradise Island Nassau is an ideal place of stay for travelers seeking charm, comfort and convenience in Nassau. First of all i want to say Alex at the front desk was so sweet even before i booked my trip and i will be back a second time. Breakfast is good the location is prime ans walking distance ans the staff is overly accommodating like anything i needed i got! The walls are hallow ans there are amall children staying here so keep that in mind. They didnt bother me at all but they are here for those who may want to bw in adult only areas! Disappointing trip & we tried to make the best of it. 1st off, breakfast is included which is a plus yet, it’s poorly organized. The 1st day 2 locations were open, the subsequent days only the restaurant. So everyone was crammed into 1 space to get their food. Granted the restaurant is spacious in terms of seating but the layout of the food was set up in 1 corner & made it a pain to get your food. Everyone was on top of each other & frustrated with having to reach over each other to grab things. Hotel is next to Atlantis w/ access which was really the only advantage of this hotel otherwise it had little going for itself except a pool. No gym. Beware at the Atlantis beach there are scammers who will “set up an umbrella” for you & then charge you $20-$30 + tip!! Umbrellas can’t be provided?? I can see tipping but to pay for a few hrs at the beach? PLEASE! Food is overpriced everywhere! Lastly, poor service. Generally the staff was just rude and didnt want to be bothered w/ the least. I payed $200 for room and $100 for tax and other fees. It was not cheap at all. However, their service and room were terrible. When I arrived there around 15:00, I was asked to wait because my room was not ready and she said “I will call you when it’s ready, please sit down there”. I waited while watching other guests check in next by next but nobody called me. After 1 hour, I queued for check-in line again and asked them “When can I check in?”, and they said “You need passport and credit card”. What??? I’ve already submitted them and just waited. They didn’t call me although my room was ready at that time. They completely forgot me. Moreover, there were several worms and roaches inside the room. VERY DIRTY hotel. Only one good thing is, if you stay in this hotel, you can also get a free access to Atlantis water adventure. So next time I’ll stay here again only if it cost less than $50/night. This hotel is worth just it. A very nice place to stay, with very nice people. It is a plus every day access to Atlantis. If they had some vegetables at breakfast it was great. 10 out of 10 for staff and management who go out of their way to make sure everyone is happy. Also 10 out of 10 for Crusoe's Restaurant, which offers the best value for money. The staff were great and very helpful, location is great too. But, the room isn’t clean, water isn’t clean. We had rusty water coming out from our tap n showers when we turn on the hot water. However, when we make it known to the staff, they had it repaired . Next , water was down. No water on certain timings which make it very inconvenient for guests like us. The hotel is somewhat depressing, the entire interior is older, nothing charming but the staff is nice. The are creative with finding mandatory ancillary costs which all have to be paid on addition. For example, one has to pay usd 23/day just for the electricity of the AC. Maybe, they charge next time in addition for each bed one uses? my stay at CSPI was reallly good. the room was clean and comfortable. the staff was very helpfull and kind. the complimentary breakfast was great! the only downfall was the wifi was a bit slow. It’s such a great place to stay! Close to everything you want, shops, Atlantis resort, great food, beaches! The stores can be a bit expensive but that’s the Bahamas for you! Definitely recommend staying here! Will come back one day! I would recommend mainly because you get to use all facilities in Atlantis without paying the Atlantis price. It is just a short walk away and the casino is nearby as well. However, be wary of the prices and options that you have when you stay in Atlantis region. I would say, better for groups or families to stay. As for the room, it is pretty well sized, good beds but the whole place looks very tired and needs a renovation to start with. Everything is in pretty old design and bad condition. Breakfast is reasonable and check in was okay. My husband and I stayed here and was very happy with our stay. It's no luxury hotel, but it offers great savings for a great daily breakfast and free daily entry to the Atlantis. Comfort Suites was a wonderful clean friendly place to stay. The staff was really nice and helpful. We love the people and the island. Loved the place. Free breakfast and Atlantis hotel access! The location, free breakfast, and comfortable beds were great but the main selling point of this hotel is free, unlimited access to Atlantis. I can't understand why anyone would pay full price when you could stay next door for a fraction of the cost! Our safe didn't work and we called twice and no one fixed it. Our door would not close and it opened up in the middle of the night. A security guard was in our room and told us not to keep the door open. We didn't. It would not close all the way. One day we had no water and antother day no TV. The stay was very lovely! Les + : l’emplacement juste a cote de l’atlantis et son acces gratuit, petit déjeuner inclus (a condition d’aimer les œufs brouillés avec saussisse ou bacon) Les - : chambres tres veillissantes, clim tres bruyante.